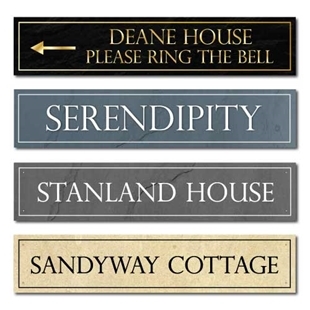 SH-00122 - This Sandstone effect sign makes an attractive house sign - Ideal near house door or on a gate post. Personalised aluminium compostie sign, any text you like. The sign is printed in the style of a traditional sandstone sign with black text. 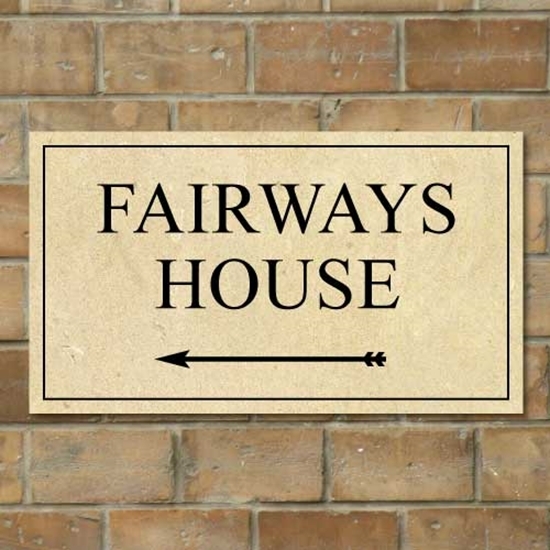 This sign is printed in the style of a traditional stone effect sign.